Philips 50″ Plasma HDTV is a 50-inch plasma widescreen TV with CableCard slot for digital cable HD (ATSC) broadcasts. 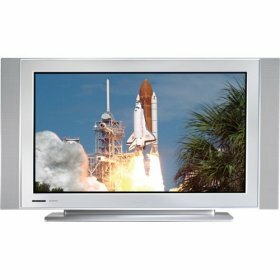 The Plasma HDTV features built-in 181-channel NTSC tuner for standard television broadcasts, supports 1366 x 768 pixel resolution, 1500 cd/m2 brightness rating, and 10000:1 contrast ratio, 160-degree viewing angle, include a tabletop stand, or wall-mountable with optional kit (VESA compatible), anti-aging circuit to help prevent screen burn-in, anti-reflective coating on the screen, Pixel Plus video processor, picture-in-picture display (via component and HDMI connections), auto volume leveler, adjustable color temperature and sharpness, sleep timer, 3D comb filter, V-Chip parental controls and built-in stereo speakers. Newsfactor Magazine (dead link) reviews Philips 50″ widescreen Plasma HDTV and concludes with rating of 4 out of 5 that the slim design and high-quality display of Philips 50PF9631D/37 HDTV will make for a beautiful picture in your living room. Good points are HDTV tuner, ambient light sensor, Dolby digital sound system, slim design for wall-mounting, USB input for digital camera, Ethernet port and picture-in-picture. While bad points are no media card slot and no DVI inputs.